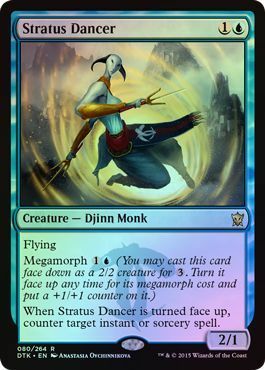 Deemed the most unfair color in all of magic’s history. Blue decks play very controlling magic. Cards that have defined the color include: Ancestral Recall, Counterspell, and Snapcaster Mage. Seeing the picture yet? It’s permission based. 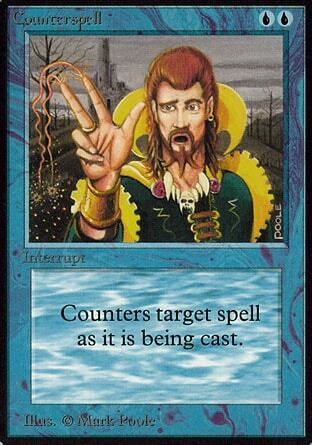 Counter what you do not want to deal with and draw cards other times. 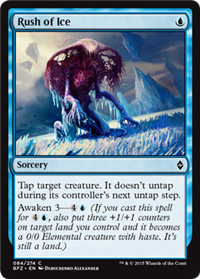 The aim is to control the early game with counters such as Clash of Wills and tap down their threats with Rush of Ice. From there, Harbinger can be used to bounce back any tapped down creature. Once you make it to the late game, cast your spells at their awaken cost to turn your lands into threats. 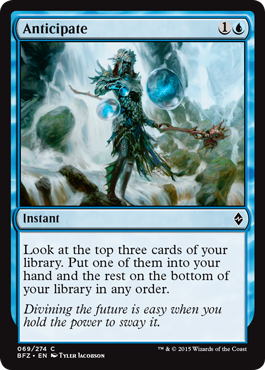 Remember, you use a flipped Jace or Tidecaller to gain back your awaken spells once you have your mana up. Pros- This deck gives you a bunch of ways of controlling the game and handling your opponents threats. You can counter them, bounce them, or tap them down, rendering them harmless. Your opponent needs your permission to do anything. Cons- While you can tap down your opponents creatures, you can still run out of gas and just get mangled. Thats why we pack 6 draw spells to try to keep up the ammo. However, you do not have early game threats, so we really need to flip the Stratus Dancer to have a big flyer or land those awaken spells to have a threat for ourselves. 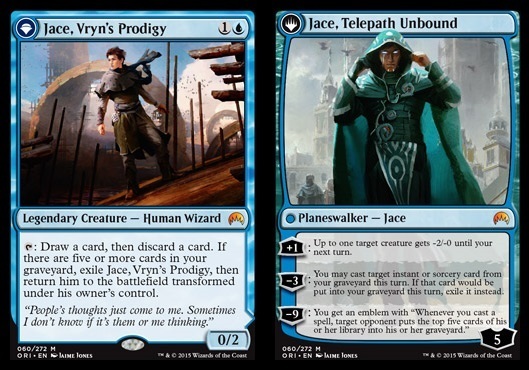 *Tip*- Jace is the money of the deck. Don’t feel like buying him? Just add 4 more spells like draw spells or awaken spells. Next week we go Green! Until than check out more Magic Mondays! Red decks are super aggressive and would love to win before their opponents even establish a board presence. How to do they accomplish this? Red decks normally have two approaches. Play super fast creatures like Goblin Guide or Monastery Swiftspear. These cards have huge upside such as Haste, lets your creatures avoid summoning sickness, and prowess, lets you beef up your cards by playing spells(Which red loves to do). 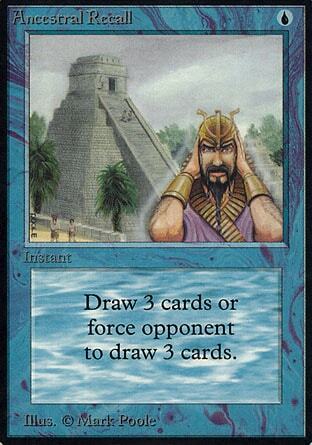 You can swing on turn one and the cards are so low on the curve you flood the field early and overwhelm your opponents. The other approach is through burn. Burn is when you play a spell that does direct damage to your opponent such as Lightning Bolt or Wild Slash. This puts the opponent on a clock and makes them play around your spells. They have to constantly worry about how much burn is actually in your hands. This is the standard Red Deck. It is also know as Atarka Red. Pros- This deck uses small creatures to storm the field and then uses pump spells to beef up their creatures. The deck uses combat tricks to win the game out of nowhere. If your opponent does not declare blockers, Temur Battle Rage can win the game instantly. Cons- Much like the problems with most red decks, you can run out of gas with your burn spells or your opponent can just play larger creatures than you. Red is for player who- If you want to play super aggressive and never let your opponent have a chance in the fight, Red is the way to go. Burn, aggressive creatures, and just all-around destruction make red super fun to play but a nightmare to play against. Next Week we look at the color Blue! Until than Check out more Magic Monday!